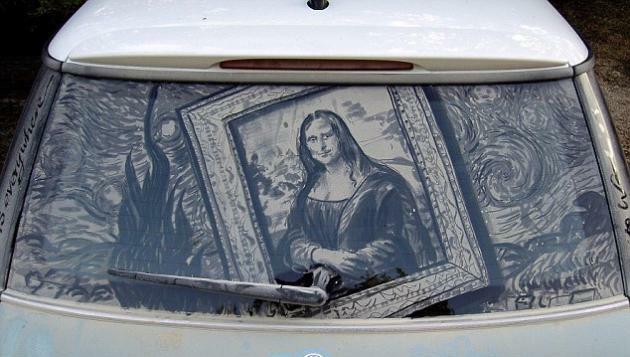 When Scott Wade's car gets covered in dirt, he doesn't just write 'clean me' in the grime - he uses it to create an intricate masterpiece. 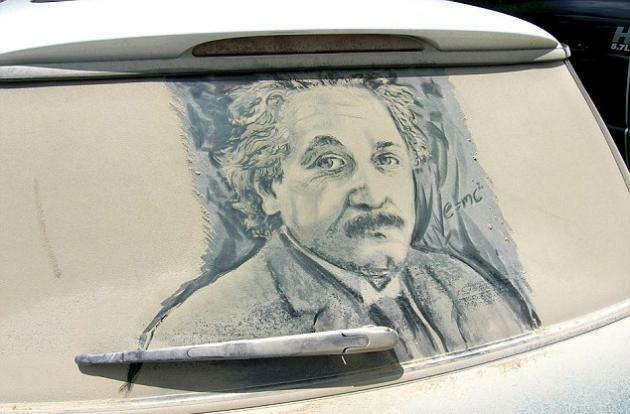 In fact, dirty cars are the perfect canvas for his unusual art and he has built up an impressive collection of pictures of 'grime art' from Leonardo Da Vinci's Mona Lisa to a portrait of Albert Einstein. 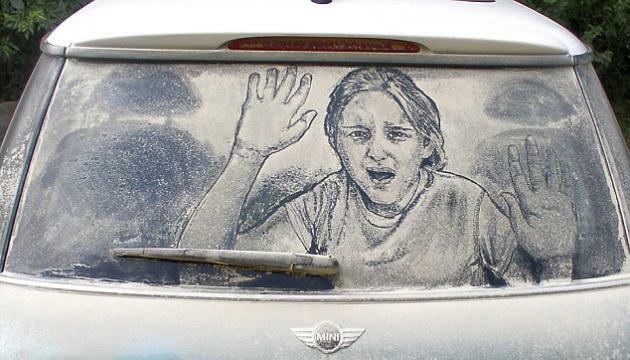 The images are so incredible that motorists often stop at traffic lights and jump out of their own cars to admire them. 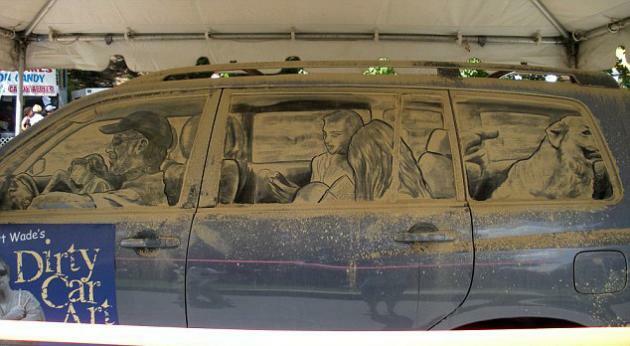 'Almost everywhere we go, my wife and I get people gathering around our cars to take pictures and ask questions,' he said. 'My wife once stopped at a red light and the people in the car behind her jumped out to take pictures with their camera phones.